After meeting some people at CampFI and talking about what I do for a living, I was encouraged to write an article about ways to be a smart consumer of healthcare. I work for a broker/third-party administrator and we insure a lot of small businesses. I know a lot about health insurance, at least in Ohio. According to the National Conference of State Legislators (NCSL), the average annual premium for health insurance is $18,764 for 2017. That is a lot of money to spend on health insurance premium! Hopefully your employer is contributing or paying part of it. I recommend getting to know the specifics of your health plan and tracking what you typically spend on healthcare in an average year. More and more people are on high deductible health plans (HDHP) which are HSA compatible. That is what I’m on for multiple reasons. Anyways, if you are on an HDHP you pay a certain dollar amount for all episodes of care until you hit your deductible. You may or may not then have coinsurance which continues until you hit your annual maximum out of pocket. When you have money on the table, it should incentivize you to shop around for the lowest cost! Seeking low-cost options can be a way to hedge off increased premiums. So how do you shop for low-cost healthcare consumption? You can certainly experiment with medical tourism but I want to focus on how to do it right where you live. Most insurance companies have an app that you can download on your smartphone which allows you to log into your portal. I have a little story of how an app saved me hundreds of dollars that I’ll share in a bit. How do you find out if your insurance company has a cost comparison tool? Either create your account and explore or call them (the number on the back of your insurance card). They’ll tell you. Once you have established that your insurance company has a cost comparison tool, check it out! They are typically simple to use. You input the episode of care you will need (i.e. MRI, X-ray, specific surgery, etc.) your zip code and it will spit out a listing of facilities and/or providers and their average cost. Sometimes they even list patient satisfaction ratings for the providers. I can violate my own HIPAA and tell you a personal story. I see a doctor every year or two for a condition I was diagnosed with in my 20’s. Fortunately, I am basically healed of it but I do get checked out periodically. Anyways I saw my doc, who works for a big hospital system here in Cleveland, and he wanted me to get X-rays to see if there was any progression. He told me to go to the basement, get the X-rays and they’ll send him the report. I told him I was on an HDHP and was going to shop around for X-rays. He looked at me like I had four eyes. However, he accepted it and I told him I’d bring him my X-rays on disc. Before leaving the hospital, I searched on my carrier’s app via my phone and used the cost comparison tool. I found an imaging center down the road that was ⅛ the cost of having an X-ray at said hospital! Needless to say, I drove there, got my X-rays on a disc, and drove it back to my doc. I saved several hundred dollars. FYI, the imaging center also sent a report to my doc. As a general rule of thumb, stand-alone imaging centers and labs charge a fraction of the cost of having major tests done at a hospital. Imagine if you needed a big ticket item like a CAT Scan or an MRI. You can save thousands of dollars by going to a stand-alone imaging center versus having it done at a hospital. I recommend searching in your specific area for stand-alone imaging centers. If not, use travel rewards and come see me in Cleveland! Unless you are going the self-pay route, I recommend that once you find a stand-alone facility, make sure it is in your insurance carrier’s network. Not all hospitals are equal. Here in Cleveland, we have some big-name hospitals systems and they are great. 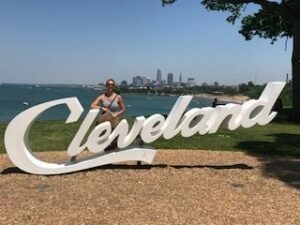 People travel from all over the country for the phenomenal care available in Cleveland. However, we also have nationally ranked, public healthcare system called MetroHealth. We have found that MetroHealth has some of the lowest cost. I personally have received outstanding care from Metro. My advice is to research the hospitals in your area. Lastly, I want to review shopping for prescriptions. If you are on a health plan with prescription co-pays, this may not be as important to you. If you are on an HDHP plan, it will be crucial. The first tool, I’ve found is Good Rx. You can go to their site (or mobile app), create a login, and search for your specific prescription. You’ll input your prescription, dosage and zip code and voila! There will be a listing of pharmacies within a certain radius of you and their cost for your specific Rx. Please note that you’ll want to search every prescription as a particular pharmacy may be the lowest for one Rx, but another pharmacy may be lower for another Rx. You can also print out coupons from Good Rx. Speaking of coupons, a lot of people don’t know that the drug manufacturers often issue coupons for high-cost prescriptions. 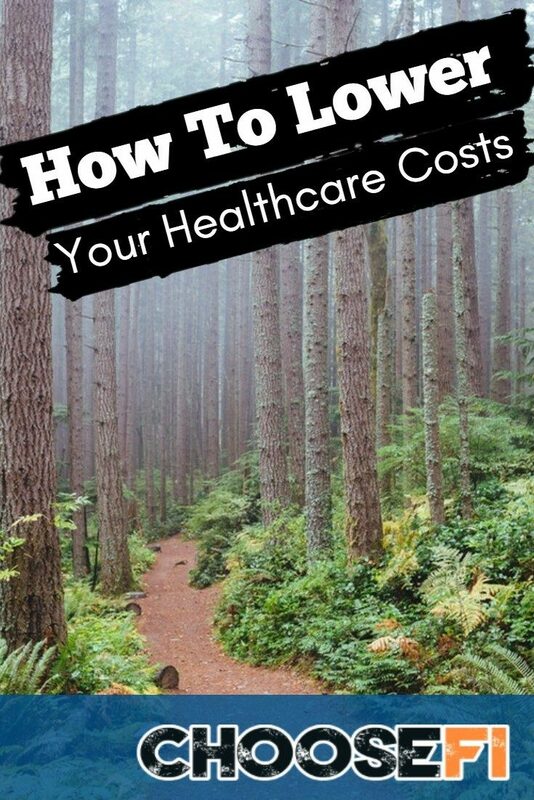 The reason is that if they cover the cost of your Rx for the first month or two, you’ll meet your deductible and then the carrier will pick up the cost for the rest of the year. Their motive may not be great, but if it allows you to get your Rx for free or a very low cost, take advantage of it. There is another great site to apply for these manufacturer's coupons and that site is called needymeds.org. In my job, I'm always searching for lower cost, high-quality ways to seek care. If I find more healthcare hacks, I'll definitely share. Let me know what you are finding and/or if this was useful to you. Cigna also has good cost comparison tools. I never schedule labs or imaging without checking their tool first. As I am now 50, it’s time for the dreaded colonoscopy. Cigna showed options that varied by more than $2,000. Having been in a high deductible plan with HSA for many years now, my husband and I shop around for healthcare the same way we would for a new car or any major household time. As for GoodRx, son’s acne medicine is 50% less with their coupon. 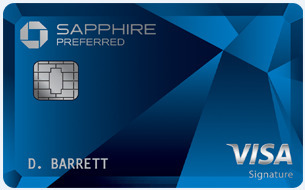 Well worth the 60 seconds it took for me to register on their site. Many people just consume healthcare, with no consideration for costs. It can seem confusing and daunting with so much terminology and so little transparency, but it is well worth the time to become educated. That is good to know about Cigna, I have limited experience with them. Thank you for sharing that. It sounds like you and your husband are wise consumers of healthcare. Nice on saving 50% on your son’s medication! Yes, healthcare consumption is unlike many other forms of consumption where cost is often divorced from the decision. I agree it is well worth a little time to get educated and shop! Hi! I also have a HDHP. I wasn’t sure if shopping by around would really help me as I always pay the insurance’s rate for care. I assumed (perhaps wrongly!) that if my insurance’s rate for an X-ray was $45 that I would pay $45 no matter where I would go for the x-ray. Can you comment on that? Hi Dana, great question. Absolutely, I can comment on that. Firstly, having an HDHP means everything is subject to the deductible, except preventative. This is different from a traditional plan with copays where you pay a flat dollar amount for certain episodes of care. Being on an HDHP is even more reason to shop since more of your money is shelled out until you meet your deductible. Secondly, while you do pay the insurance contracted rate (only if you stay in the network) it can vary from facility to facility. 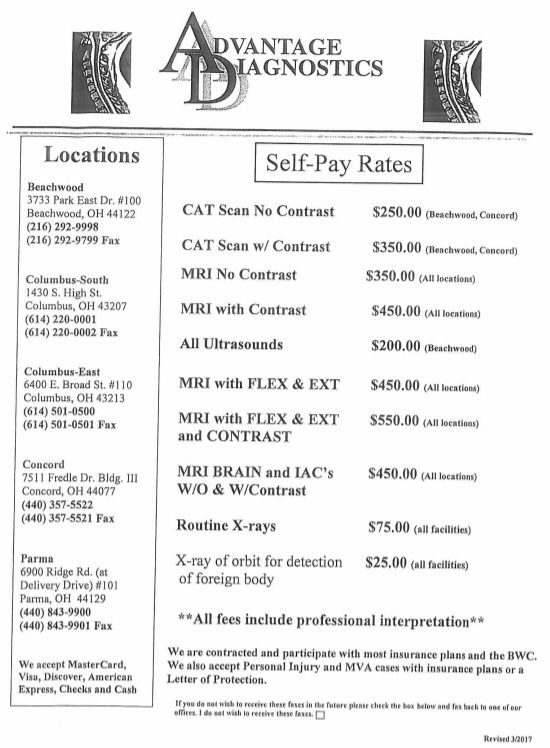 For example, you could pay $250 for an X-ray at a hospital but only $40 at a stand-alone imaging center. It is totally worth it to shop! Great information and completely correct. I’m a broker and this is the information we give our clients all the time. Even if you are not on a HDHP it is worth it to go to an independent facility for any imaging tests. Another thing that helps to bring costs down is to avoid the hospitals unless it is an actual emergency (threat of loss of life or limb is the general definition) . A lot of visits to hospitals are because of convenience or they couldn’t get in to see their PCP as soon as they would like, these are not good excuses to go to the hospital and your carrier may not cover it. Most carriers offer tele-doc services where you can video chat a doctor on your smart phone and they can fax a prescription to your nearest in network pharmacy. Another option is to figure out what Urgent Care centers are in network in your area and go there instead. Both of these options will cost you less, even on an HDHP. If we can get more people to be smarter and more conscious about their care and the cost of it maybe we can stop the huge premium hikes we are seeing around the nation. Thanks for weighing in, Danne! A big YES to all that you said. I also advise clients to take advantage of minute clinics which are popping up inside of pharmacies, particularly for ailments which are not emergencies. Sometimes you just need care after-hours. Some health insurance companies have stopped covering non-emergency episodes at the ER. It would be lovely to mitigate the huge premium spikes we have gotten used to. Man, 1/8 the cost for an x-ray from one location to another! That really blows my mind. I so wish we had a healthcare system where this sort of comparison shopping wasn’t even necessary, but until then, these are great tips! Crazy, right? I just went to a school board meeting tonight where talked about comparison shopping. I am so happy to share the tips as I learn them. Do the independent imaging centers also have a radiologist that provides an interpretation or do they simply provide the image on disc? As a physician who works at a Pediatric hospital, we will often have imaging from outside facilities re-read by one of our pediatric radiologists. I believe this also gets charged to insurance/patients. I think it’s good for consumers to know that it’s not as simple as getting the images, you also have to get the right interpretation by people who are knowledgeable about the disease process and the patient population. So, it may be less expensive to get the imaging done at an outside facility, but there still may be more costs associated with it than just that. Hello Naomi, I am glad you brought this up. The particular imaging center I linked to in my article has a radiologist on staff who interprets the test and sends a report to the doctor who ordered it. They will also provide the image on disc if requested but it may be redundant. It is my understanding that the prescribing doctor is most interested in the interpretation. I’m not sure if all stand-alone imaging centers have a staff radiologist so it is wise advice for the patient to verify this beforehand. Thank you for the comment. Thank you for this information, it is great! I recently discovered my insurance has an app for comparing procedures, and it is a fantastic tool! I wish that my employer would advertise it more. I have heard some horror stories lately regarding insurance and ambulance costs, specifically around ambulances that are out of network. Hopefully it’s not something that people would need, however it seems prudent to be prepared… Do you have any strategies to plan ahead, just in case you need ambulance services? Hello Sean, that is great to hear your insurance company has an app. Most do nowadays but I’m sorry to hear your HR did not advertise it. However, in their defense shopping for episodes of care is a fairly new phenomenon. As short as 10 years ago, most of us had rich plans with low copays and didn’t need to shop. Ambulance care due to a true life-threatening emergency has to be covered as in-network, so no need to worry there. If someone is unconscious or in a life-threatening situation, the ambulance driver will take them to the nearest emergency room. Obviously, they are not checking to ensure it is an in-network facility. To your question, I have heard of instances where emergency episodes (ambulatory included) are coded as out of network, BUT ALWAYS DISPUTE THESE CHARGES. Carriers have to re-code emergencies as in-network regardless of where the treatment occurred. This brings up another point. Some carriers, Anthem in particular, are denying to cover non-emergency episodes treated at an ER. ER visits are some of the most expensive episodes of care and should be reserved for true emergencies (severe allergic reactions, broken bone, heavy bleeding, chest pain, etc). Thank you Ms. Fioligy! I always read your articles and this is my favorite yet. So much good information that I can put into practice. As I write this I am sitting in the ER waiting for a family member. We did stop at an urgent care center first and they sent us here so that’s a win of sorts. Unfortunately I am finding out the hard way about the ridiculous costs charged by hospitals. Last November I scheduled an MRI. The hospital said the would have it precertified and let me know if there was an issue. Well the day after said MRI guess what I received in the mail? You guessed it. A denial letter from my carrier. When contacting the hospital they admitted they dropped the ball. So the dispute process of a $4,200 bill begins. Even if I’m successful getting it resolved no doubt I will still owe some portion of the bill. I will definitely shop around for these services in the future. Thank you for the valuable information. . Hey!! Thank you and I am so happy to help! I am so sorry to hear you are in the midst of an emergency. I hope all ends well. Keep disputing the MRI charges as the hospital is the one who dropped the ball!! Let me know if I can help but in reality you should not be stuck with the full amount. You may have to pay a portion of it depending on where you were at with your deductible and max out of pocket. Thanks for the good info! Do you have any advice/links to articles advising on whether a standard plan with FSA vs. a high deductible plan with HSA is better if you are planning to get pregnant/have a baby? 1. Estimate with your insurance company the average cost of pregnancy check-ups and delivery (both natural and c-section). 2. Compare your out of pocket exposure on the HSA high deductible plan you are considering to your out of pocket exposure on the non-HSA qualified plan. 3. Compare the premiums for the two types of plans. 4. Compare the limits you can contribute to an HSA versus a FSA (side note, FSAs also let you contribute pre-tax dollars for child care expenses. This is a HUGE thing to weight into your decision). 5. FSAs have a lower contribution limit but you can also draw all the funds before they are contributed. 6. The last thing to consider is that FSAs are more of a use it or lose it type of account. They typically (employer’s discretion) allow for either a small rollover or a grace period but for the most part, you need to put in what you plan to use that year. HSAs can keep growing and growing. Hi, I really really like your blog, your attitude and your content. Please continue! I will give you constructive, positive feedback on the writing, please use anyway instead of anyways. Anyways is wrong, should never be used and it pains me to see your great content with a very well known error. You guys are pro writers, I’d like to see your writing reflect it a little better. Finally, someone who is not afraid to give constructive criticism. Thank you!! I always appreciate getting better.